We got back from our 3 week long US vacation. It was the first time my husband, older son and I were back State-side in 5 years. My younger son, obviously, had never been. 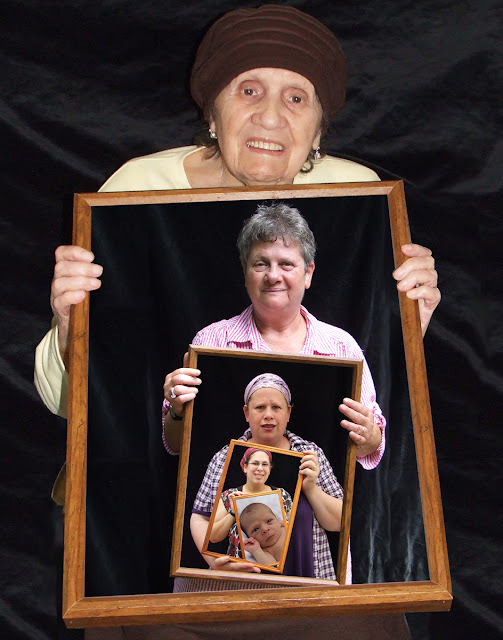 About 2 months before our trip, a cousin of mine sent me a link to a photo a professional portrait photographer had done of 4 generations of women (the youngest photo was of the three year old daughter). It was an amazing idea and I immediately set out to do the same for our FIVE generations.